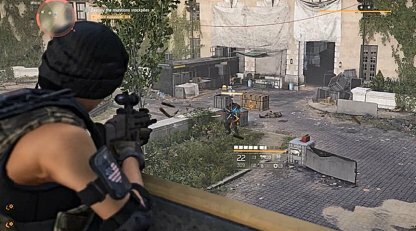 Check out this Tom Clancy's The Division 2 side mission walkthrough and guide for Department of Justice. This includes gameplay & battle tips, mission tricks & techniques, and more. 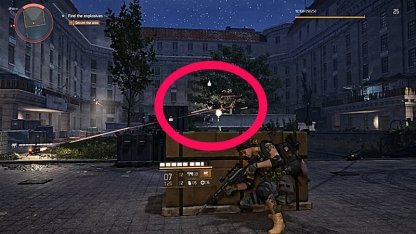 There's a gatling gun at the middle of the courtyard which enemies will use against you. Fire at the enemy with caution. This Heavy Elite enemy comes with a grenade launcher and can knock you out of your cover. 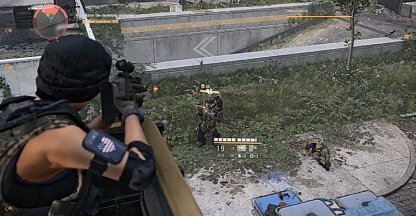 Move out of cover to another position as soon as you see him launch a grenade towards you.